The Trump administration abruptly replaced the top acting watchdog at the Education Department this week, drawing a rebuke from Sen. Elizabeth Warren (D-Mass.) and questions from the agency’s investigative arm itself. Warren and the department’s Office of Inspector General said the move raises questions about the watchdog’s independence from the Education Department because the new acting inspector general, Phil Rosenfelt, is also the department’s deputy general counsel. The inspector general’s office is charged with investigating fraud, abuse and other problems in department programs as well as the schools and colleges that receive federal funding. At least two controversial decisions by Education Secretary Betsy DeVos are under review by the inspector general now. It has opened inquiries into DeVos’ reinstatement of an accreditor of for-profit colleges and her agency’s dismissal of civil rights complaints. Rosenfelt is the second acting inspector general at the Education Department in less than two months. He replaces Sandra Bruce, the deputy inspector general, who had been acting in the top watchdog post since the retirement in November of Kathleen Tighe, an Obama appointee who had been the permanent inspector general since 2010. It remained unclear as of Thursday whether Rosenfelt would continue to serve as deputy general counsel while he takes on the responsibilities of the top watchdog. The White House and Education Department declined repeated requests to comment or offer an explanation as to why the Trump administration replaced the acting inspector general, which was first reported by POLITICO. 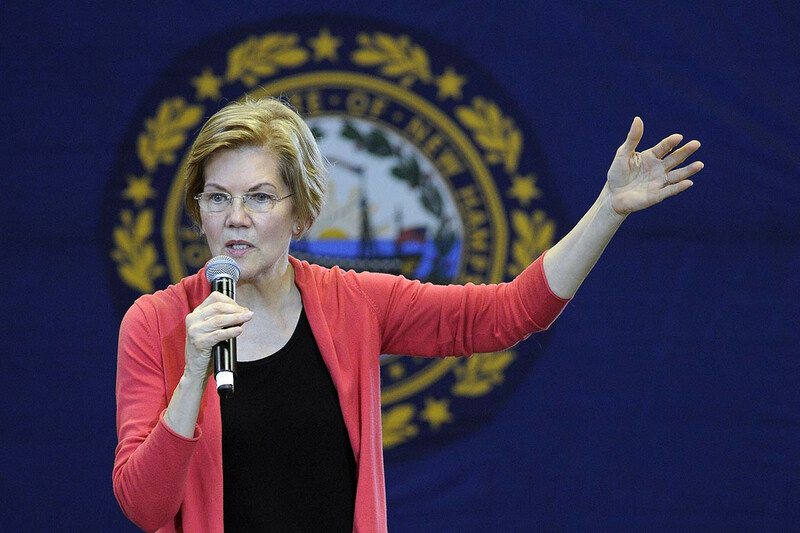 Warren, a Massachusetts Democrat and an expected 2020 presidential candidate, echoed those concerns in a letter to the White House Thursday. Warren, who is a member of the Senate education committee, said she is worried the appointment “will do grave damage to the independence and effectiveness” of the inspector general. Rosenfelt is a longtime career department official. He was acting secretary of Education for several weeks at the beginning of the Trump administration, until DeVos was confirmed by the Senate. “But the decision to replace Ms. Bruce without explanation, and with a senior agency official who appears to be still serving in that capacity, is troubling because it is vital that the work of the OIG remain uninterrupted and that the IG operate independently from the White House and from Department leadership,” she wrote. The White House has not named a nominee for the role, which requires Senate confirmation. The department’s succession plan and the Inspector General Act call for the deputy to serve as the acting inspector general in the case of a vacancy. But under the Federal Vacancies Reform Act, the president can override that plan by appointing a Senate-confirmed political appointee or high-level career staffer as acting inspector general. DeVos has proposed eliminating those Obama-era rules, which cut off federal funding to low-performing programs at for-profit schools and other career colleges. The inspector general’s office, led by Tighe and then Bruce, had also begun reviews of several of the Trump administration’s highest-profile policy decisions in recent months. The watchdog office in December confirmed it had opened a review into DeVos’ decision to restore the federal powers of a large accreditor of for-profit colleges. The inspector general’s office also announced in the fall its plans to examine whether the department has been properly dismissing civil rights complaints that alleged discrimination.